A national search for a new president for Hackensack University Medical Center ended where it started — with a leading physician who has also served as a key executive at the hospital, officials announced Thursday. Ihor S. Sawczuk will become the new president on April 4, succeeding Robert C. Garrett, who will concentrate in his role as president and CEO of the rapidly growing Hackensack University Health Network as well as another venture, officials said. “For 15 years, HackensackUMC has been fortunate to have Dr. Sawczuk as not only a physician – but as one of our most well-respected executive leaders, ” Garrett said. “His various roles — as executive vice president, chief medical officer, vice president of Academic Affairs and chairman of the Department of Urology — are a direct reflection of his influence and demonstrated leadership within our medical center and beyond, ’’ Garrett said. The announcement comes as the hospital and network are taking on multiple projects and expansions. The network plans to open a medical school with Seton Hall University at the former Hoffmann-LaRoche site in Nutley and Clifton in 2017. A national search for a founding dean should be completed soon, an essential step in creating a curriculum and applying for accreditation, officials said. 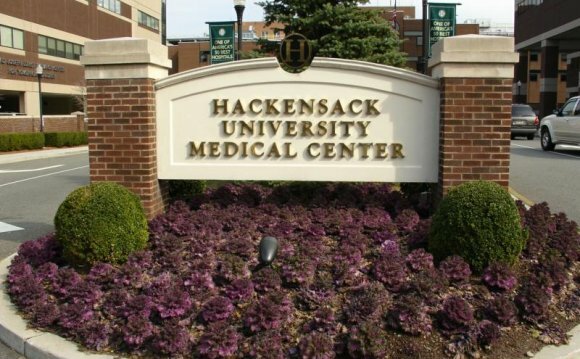 Hackensack University Health Network also announced plans to merge with Meridian Health and its six hospitals in Ocean and Monmouth counties to create the state’s largest hospital network. The new organization, which is still pending approval by the state Attorney General, will employ 23, 400 people and have more than $3.4 billion in revenues, eclipsing Barnabas Health, currently the state’s largest health care system. If the merger moves forward, it will mark another major expansion for the network, which continues to grow well beyond its Bergen County roots to become a statewide force. In addition to being president and CEO of the Hackensack network, Garrett will ultimately hold that title for Hackensack Meridian Health once the merger is complete. Sawczuk started at Hackensack in 2001 as chairperson of the department of urology. “Since then, he has helped guide the medical center on a path of clinical, research and academic excellence, ’’ officials said. His emphasis on cutting-edge technology has elevated the Department of Urology to become one of the leading programs in the country, the hospital noted. As chief academic officer, Sawczuk has played a key role in developing the new medical school and in the oversight of the hospital’s affiliation with Georgetown University School of Medicine and Stevens Institute of Technology. Sawczuk is frequently listed in national and local publications as a top doctor. He is the recipient of numerous awards, and his research and publications are referenced throughout the country, officials said.